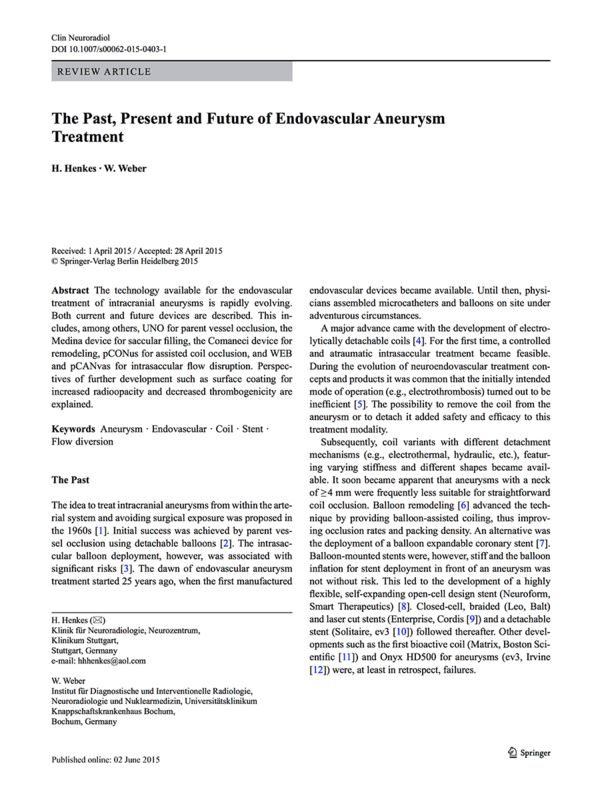 Since the first use of the Guglielmi detachable coil system for cerebral aneurysm embolization in 1990, various endovascular methods have been developed to treat large numbers of aneurysms. 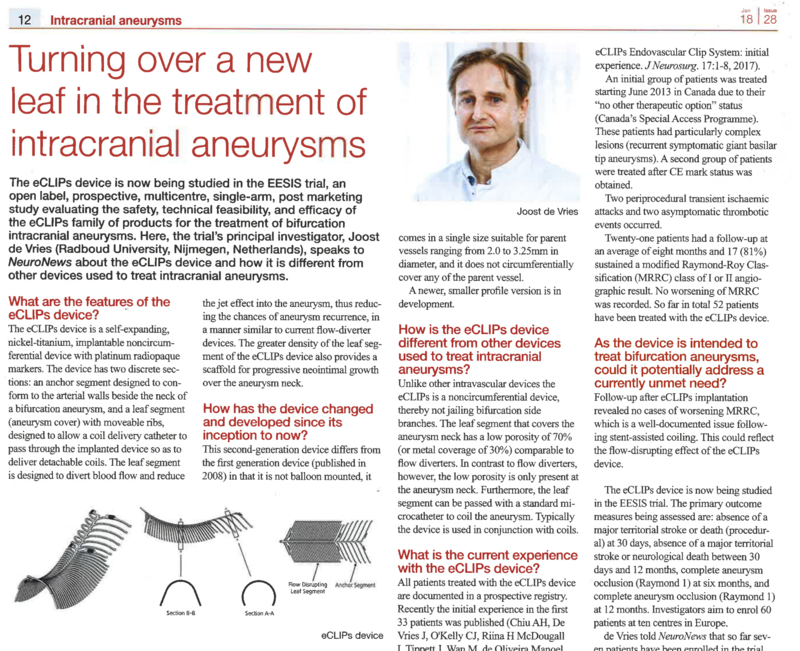 In the January edition of Neuronews, Dr. Joost de Vries speaks about the eclips device which is being studied now in the EESIS trial. 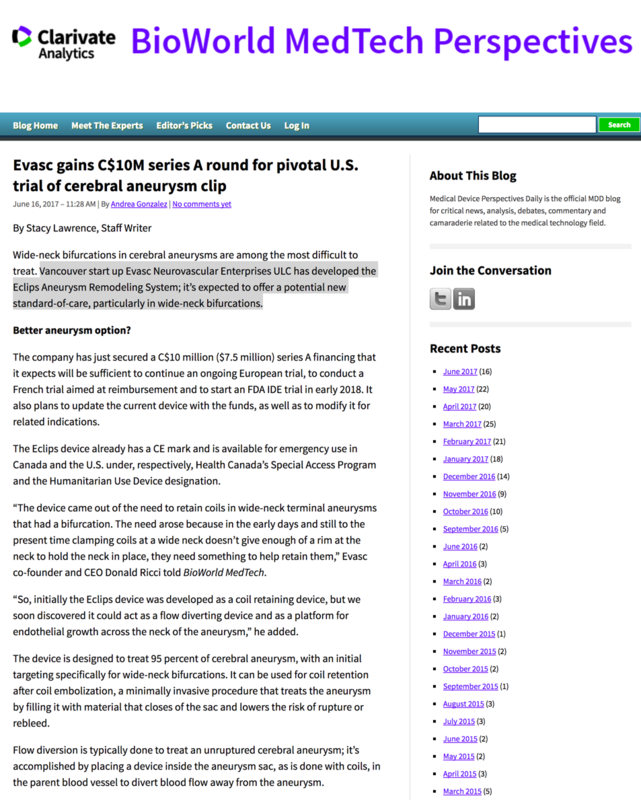 Vancouver start up Evasc Neurovascular Enterprises ULC has developed the Eclips Aneurysm Remodeling System; it’s expected to offer a potential new standard-of-care, particularly in wide-neck bifurcations. Establishing a national health policy at a macro level involves the integration of a series of health initiatives across a spectrum of activities, including clinical care. 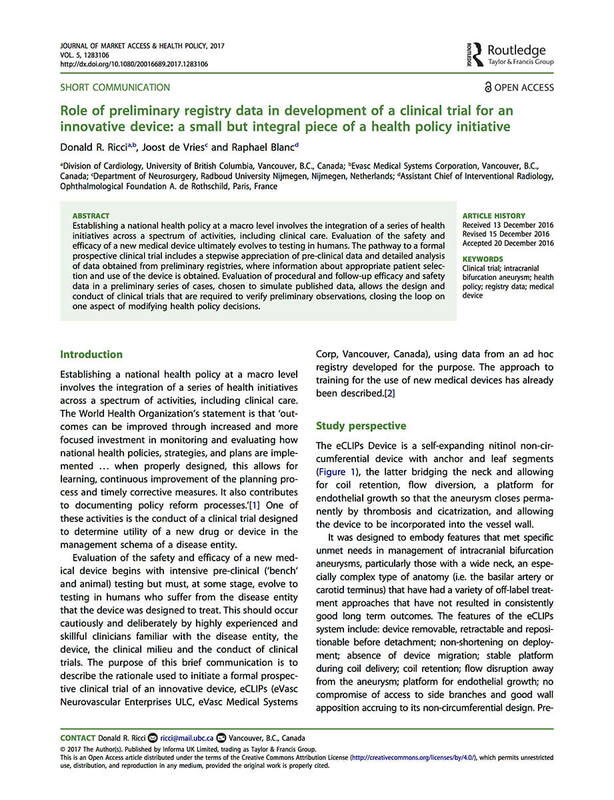 Evaluation of the safety and efficacy of a new medical device ultimately evolves to testing in humans. 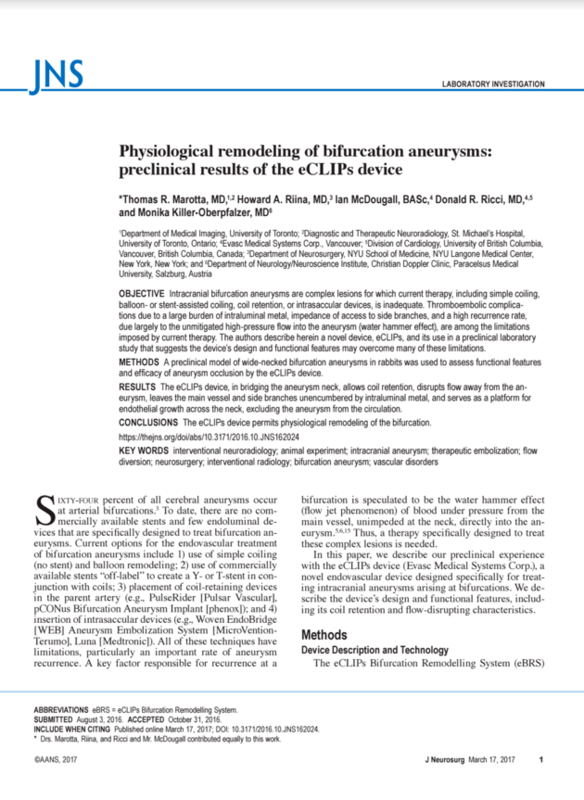 Treatment of wide-necked intracranial aneurysms is associated with higher recanalization and complication rates; however, the most commonly used methods are not specifically designed to work in bifurcation lesions. Sixty-four percent of all cerebral aneurysms occur at arterial bifurcations. To date, there are no commercially available stents and few endoluminal devices that are specfically designed to treat bifurcation aneurysms. 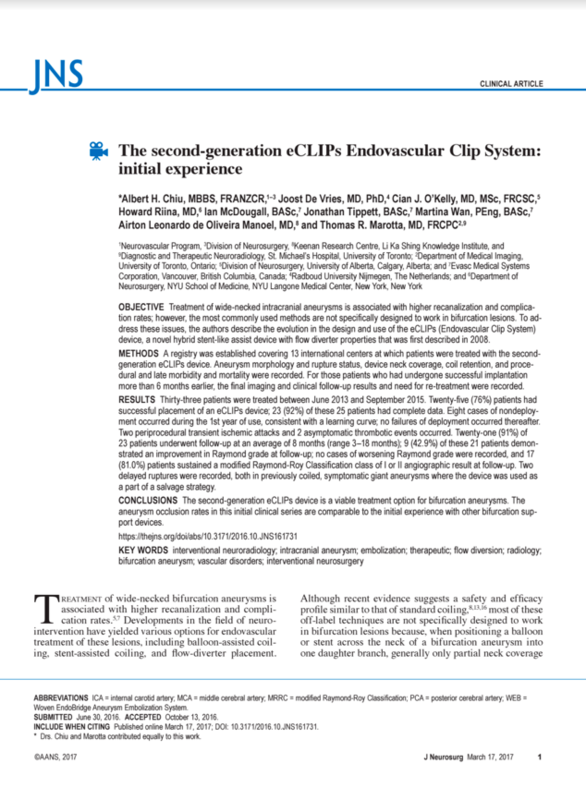 Training has been important to facilitate the safe use of new devices designed to repair vascular structures. 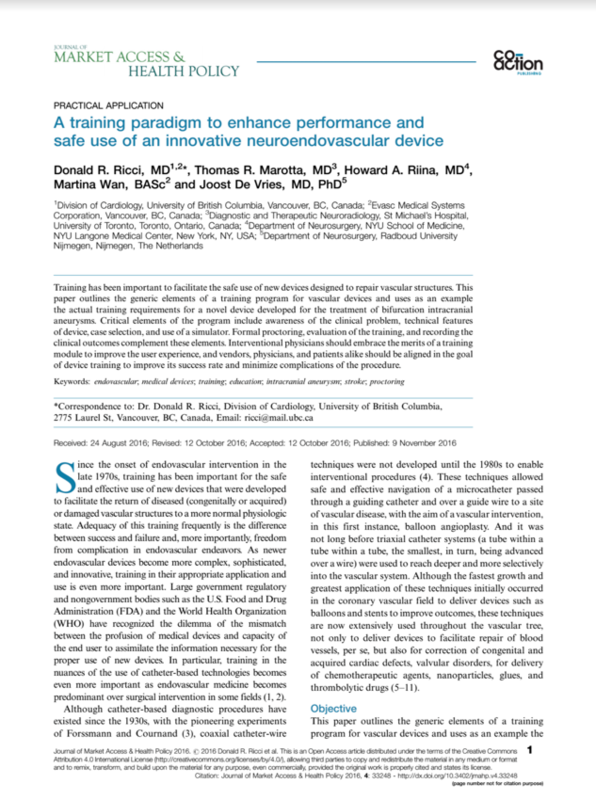 This paper outlines the generic elements of a training program for vascular devices and uses as an example the actual training requirements for a novel device developed for the treatment of bifurcation intracranial aneurysms. 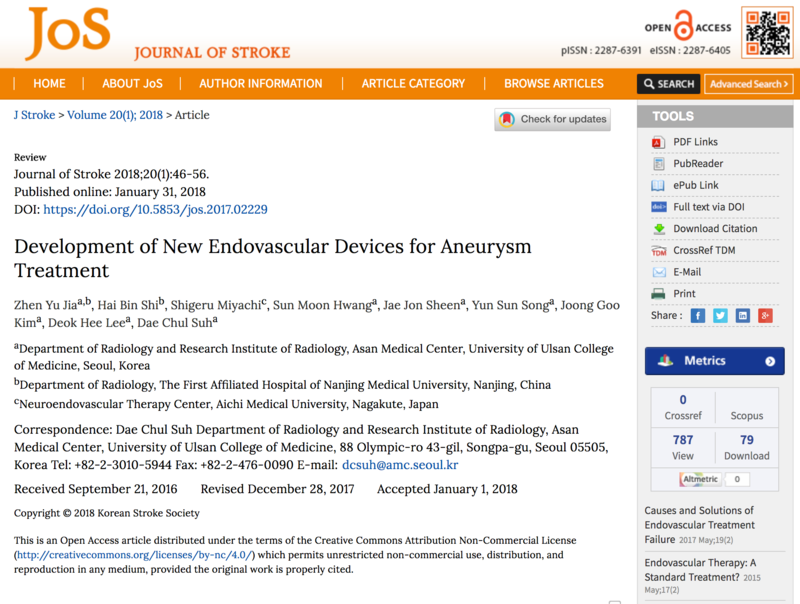 The technology available for the endovascular treatment of intracranial aneurysms is rapidly evolving. Both current and future devices are described.